Welcome to Disney Extinct Attractions. My name is Cole, and I’ll be your guide on today’s journey into Frontierland past with a few attractions that were around during the earliest days of Disneyland, the Magic Kingdom, and Disneyland Paris. 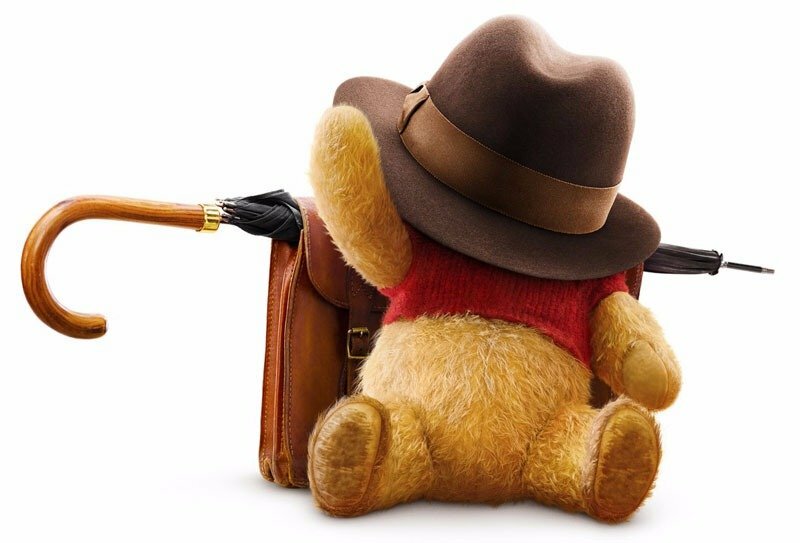 This past Tuesday, Disney released the first trailer for their upcoming film, Christopher Robin, set to open on August 3rd, 2018. There isn’t much information about this film as of yet, but the trailer looked really interesting, and it doesn’t hurt to have Obi-Wan Kenobi on your side in the titular role. Plus, the rest of the cast is pretty fantastic, so I am a lot more excited for the film now than I was at the beginning of the week. Today, Winnie-the-Pooh is a very popular character, having an attraction in every Disney Resort, except for Paris. Pooh has an especially large overseas presence in Asian countries, with his cuddly self-fitting into the mold of popular characters like Duffy and Shelly Mae. Stateside, at the Disneyland Resort, Pooh has his own attraction and shop in Critter Country, the former home of the Indian Village, our first attraction of the day. 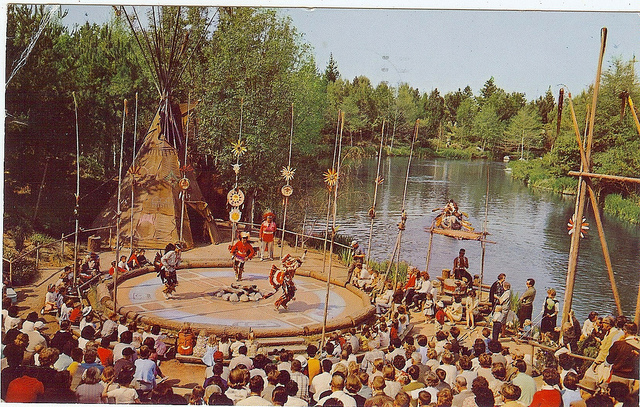 The Indian Village opened during the park’s inaugural year of 1955 as a part of Frontierland. 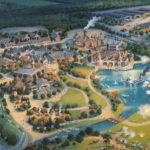 Originally, the area was just a little plot of land that was intended to help Frontierland feel more lived in, while also helping promote the Davy Crockett films that Disney was producing. Western films were extremely popular during the 1950s, so the more details that Disney put into Frontierland, the better and more authentic it became. The Indian Village generated enough interest in its first few months that Disney decided to dedicate $100,000 to it in 1956, as part of Disneyland’s first expansion that also included the Skyway and the Rainbow Caverns Mine Train. This expansion gave the Indian Village a more permanent home back where Critter Country is today and helped the mini-land stay around for years to come. As you can see from the picture, the area actually had quite a bit going on in terms of decorations, and it seems like it did a great job recognizing and honoring the Native American people. The Indian Village had places to eat, shops, and a stage for Native American people to put on shows reminiscent of their tribal traditions. To further respect the traditions of Native American people, Disneyland hired a lot of Native American people to work in the Indian Village, especially for the performances. Guests got the chance to learn a lot about Native American culture in a fun, Disneyesque way. But eventually, the Indian Village became outdated and no longer thrilling to guests visiting Disneyland, so it was closed in 1971 to make way for Bear Country and the Country Bear Jamboree. However, some remnants still remained for a while like the Indian Trading Post that stayed open until 1989 before becoming a store more closely-connected with Splash Mountain. 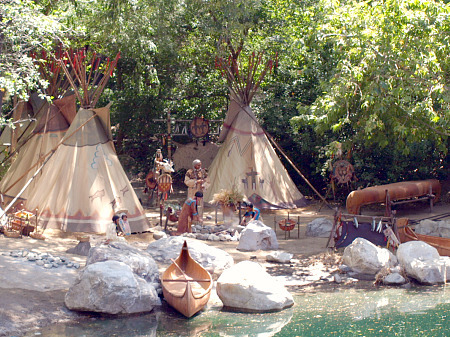 Around the Rivers of America, there are also scenes depicting Native Americans, and when the area recently underwent refurbishment, these scenes also got a facelift and some more advanced animatronics, so it seems like this little piece of Disney history will be around for a while. 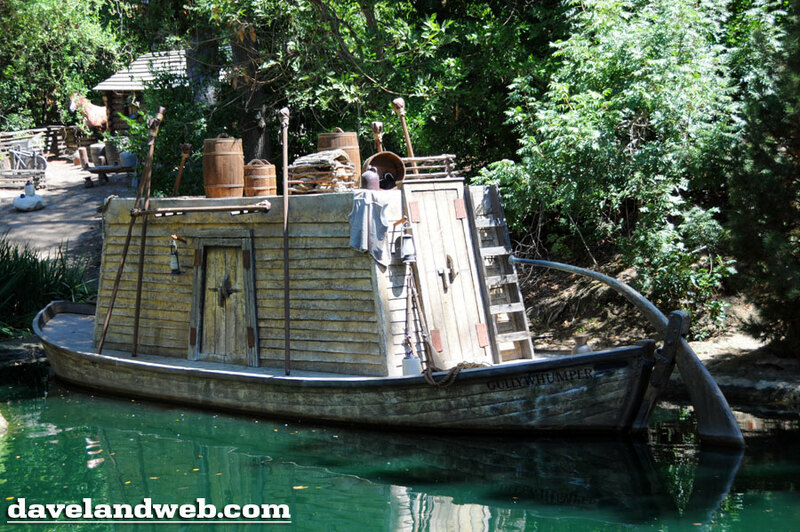 Now that we are on the Rivers of America, we can hop off of our Indian War Canoe (the former name of the Davy Crockett’s Explorer Canoes) and move on over to the Mike Fink Keel Boats and the attraction’s history in the Disney Parks. Now if the Indian Village was loosely inspired by the Davy Crockett series, the Mike Fink Keel Boats took a more direct approach. In Davy Crockett and the River Pirates, Davy competed with Mike Fink in a keelboat race in a competition that decided the true “King of the River.” Ultimately, Davy prevailed (because how could he not on his show? ), and the scene was memorable enough that Walt decided to bring the boats to Disneyland starting on December 25, 1955. 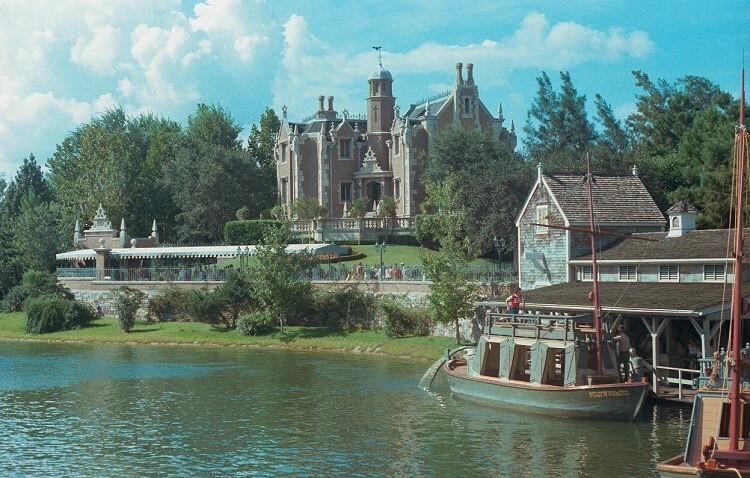 And by “bring the boats”, I mean that he quite literally brought the boats that were used in the film to Disneyland, and guests could ride them all around the Rivers of America. As far as I know, there are no other attractions where you could quite literally ride the movie, so it is pretty awesome that they could retrofit the boats in that way. Eventually, they did replace them with higher capacity boats, but still it was really cool while it lasted. As you can see from video above, the Mike Fink Keel Boats were very similar to the canoes and riverboat in that they followed a clockwise route around Tom Sawyer Island, giving guests a chance to get a unique view of the Island and the Rivers of America itself. 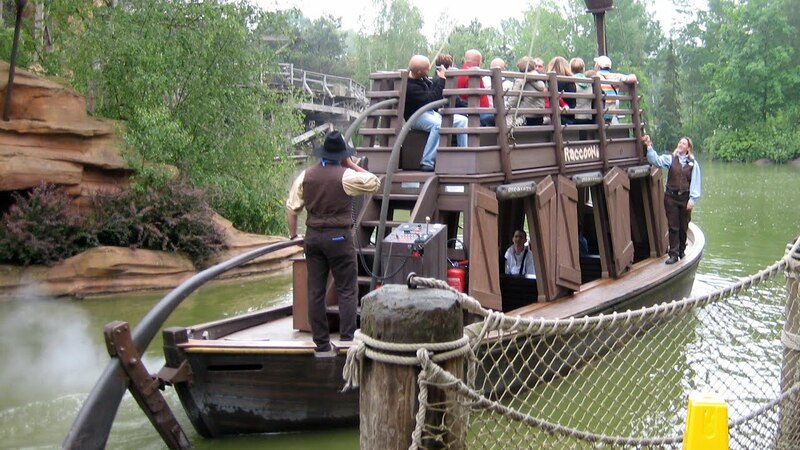 I really like that with the keel boats, guests could stand inside or on the top of the boat. Plus the boats were lower to the water, so it was like the canoes, but without the exercise. 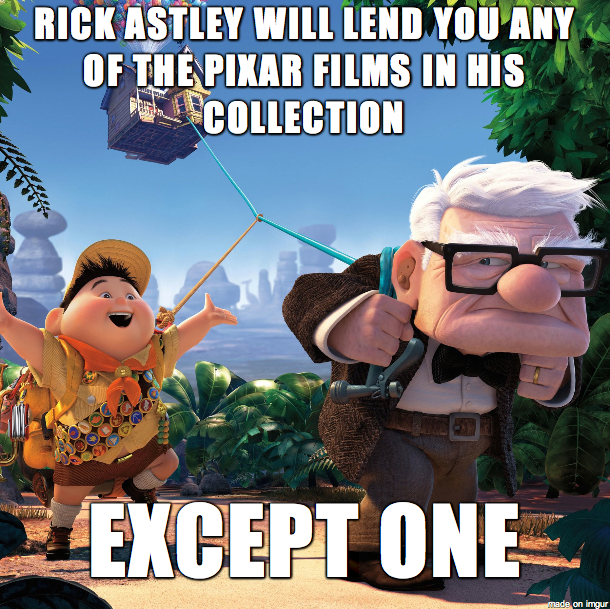 I’m sad that I never got the chance to experience it myself, but so it goes. 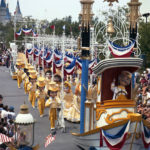 The boats were popular enough in Disneyland that they eventually made their way over to the Magic Kingdom on the park’s opening day of October 1, 1971. Just like in Disneyland, the boats functioned primarily as a seasonal operation because their capacity was not super high, so it was tougher to justify the operating costs during non-busy times. 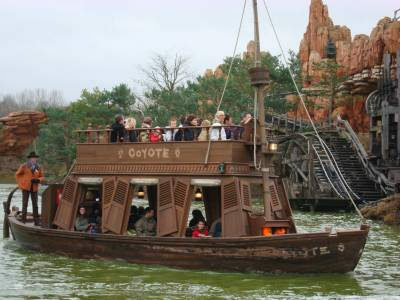 Even only operating seasonally, the keel boats still managed to make their way over to Disneyland Paris, known there as the River Rogue Keelboats. By the time they opened on April 12th, 1992, Davy Crockett was an afterthought in many people’s minds, especially in France where an attraction based on an American frontier hero wouldn’t necessarily bring in the crowds. The fun continued at Disneyland for over 40 years until the incident. On May 17th, 1997, one of the boats capsized and a few people suffered minor injuries. But luckily no one was grievously injured or killed, so things could have been much worse. Regardless, Disneyland quietly closed the Mike Fink Keel Boats on that day, never to be opened again. 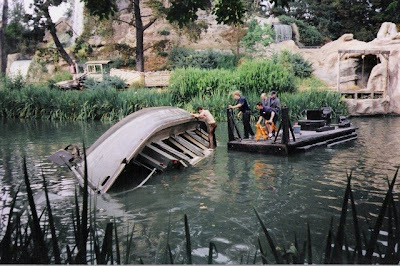 One of the boats was sold, while the other was moored on Tom Sawyer Island, though it eventually sank, so a replacement keel boat was created that stands their today, giving the attraction a chance to live on in Disneyland to this day. Over in the Magic Kingdom, the boats managed to last until April 29, 2001, making it nearly four years after Disneyland’s incident. But eventually, they simply were not popular enough, so their run came to a close. Now Disneyland Paris is a more interesting story because I couldn’t find a lot of definitive information about it. From what I can tell, the attraction closed between 2000 and 2007 for maintenance purposes, though that seems like an extremely long time for refurbishment. But then the boats were spotted again as late as summer 2010, so I am going with that time as the attraction’s officially closure, though it should be taken with a grain of salt. Overall, I thought these keel boats were awesome, but I completely understand why they were eventually removed. The property they were based on was outdated by the early 1970s, plus a boat capsizing is never exactly a great thing. So with that, let’s take a look at what will be coming next week. The television show on which this theme park show was based returns this upcoming Sunday. The attraction featured guests from around the park in starring roles. The attraction only appeared at Walt Disney World.